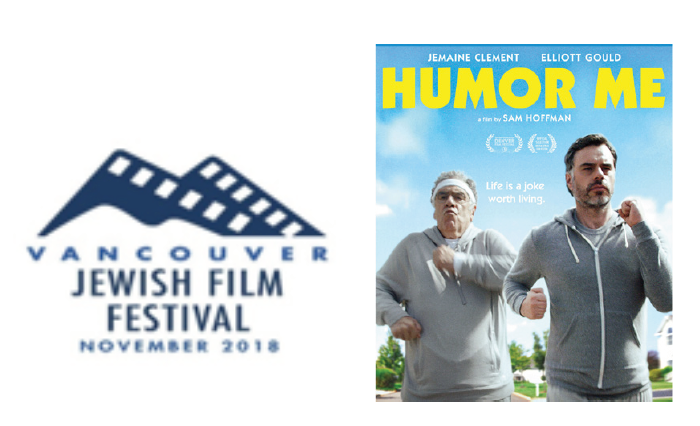 Did you know, The Vancouver Jewish Film Festival will take place this month, and will be running from November 7th to the 14th? The Weinberg Residence is thrilled to announce, that once again, it will be one of the Community Sponsors for the Festival. Our sponsored film, “Humor Me”, will be screened at the Fifth Avenue Cinema on Wednesday, November 14th at 1:00pm. “Humor Me” will humour you — and then some! This comedy tells the story of a floundering adult who gets back on track with the help from a senior-age parent. It was recently rated as one of the best films of its kind. The movie won a Festival Award as the Best Feature Film Comedy at the 2018 Sedona International Film Festival, and was a nominee as the Best American Independent Feature Film at the 2018 Cleveland International Film Festival. We are excited to partakein this year’s festival, and look forward to bringing our residents to view our sponsored film.